All the comforts of home and a fabulous location in the heart of Brussels, these fully-furnished house rentals at 44 rue Souveraine are perfect for families. Each house offers 3 bedrooms, 1.5 or 2 bathrooms and a large kitchen equipped with a refrigerator/freezer, microwave, dishwasher, coffee maker, electric kettle, cookware, serving pieces and tableware for 6 people. 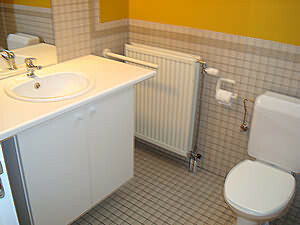 All towels and linens are provided, as well as a washer and dryer. Living rooms are bright and spacious and include a flat screen television with international channels and high-speed wifi. Each home features wood floors, neutral décor, and furniture and accessories individually selected for each space, giving each house a unique and stylish look. A lovely outdoor terrace and/or garden is perfect for relaxing with a morning coffee or sharing a meal with family. Each house includes a private mailbox and indoor parking upon request. Complimentary access to the Souveraine fitness and business centers is also included. 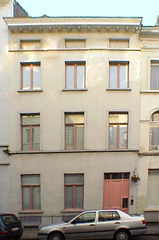 The houses at 44 rue Souveraine sit on a quiet, one-way residential street between Avenue Louise and Porte de Namur, and about a 10 minute walk from the European Parliament. Fabulous restaurants, shops, movie theatres, the city center and public transportation are all only steps away. Centrally located between Avenue Louise and Porte de Namur, easy walking distance from excellent shops, movie theatres, restaurants and public transport. The European Parliament is within a 10- minute walk. 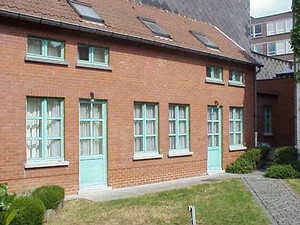 It is also a short stroll away from two wonderful urban parks, the Bois de la Cambre and the Parc de Bruxelles. Brussels International Airports: Zaventem (20' by car) and Charleroi (1 hour by car). To be informed of our availabilities or to make a reservation in one of our residences in Brussels, simply complete the Enquiry Form or call us during business hours at +32 (0)2 626 07 76. Monday to Friday from 8.30 AM to 6.00PM. Our staff is devoted to ensure that from your first enquiry to the day of your return home, you receive the best possible service. Immobe is committed to protecting your privacy. We guarantee that your personal information will not be sold, rented, traded or otherwise provided to any other party not involved in your booking. Prices, services and amenities in this website are subject to change at any time without notice. They are only indications. Our staff will provide you with your final quote. Customers Testimonials: Read what our clients are saying about us.